This school year was a big transition for our Louie. 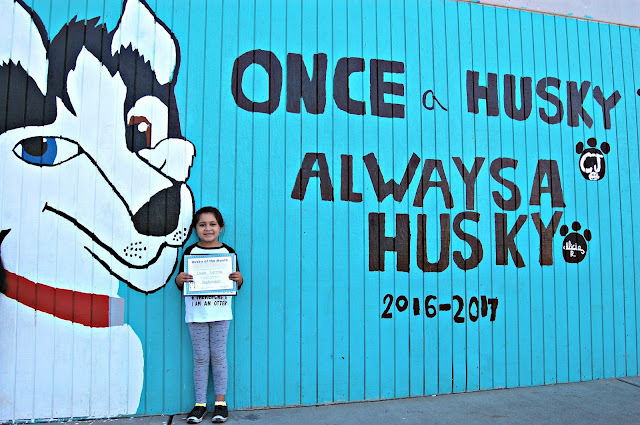 She started 2nd grade and started full-time school for the first time. She was homeschooled for Kinder and 1st. 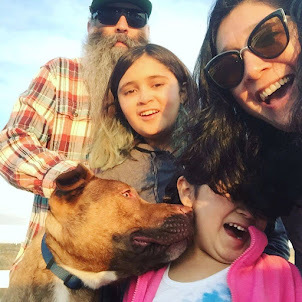 Now we homeschooled both girls and we can agree that Louie was much harder to homeschool than Phi was. We found it difficult to get her to concentrate, to focus and just sit still. I was worried that 6 hours in a class room was going to be impossible. We prepared ourselves for months of adjustment. I was prepared for parent-teacher meetings and mornings fighting Louie to go to school. We shouldn't have worried. This little wacko adjusted to everyday school like a freakin champ. 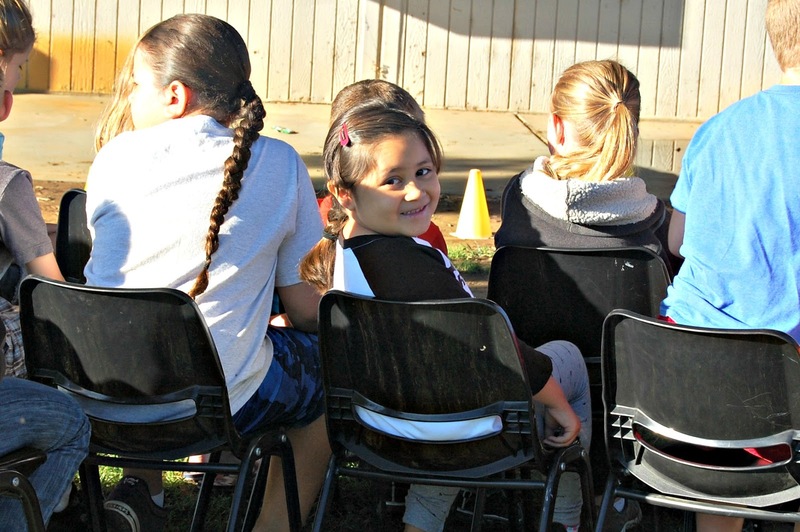 Not only does she love going to school, she loves her teacher and her classmates and even PE. She is reading at a 3rd grade level and we are seeing progress in her math and writing skills. And as if her upbeat attitude wasn't enough, last week we got a letter from her teacher. 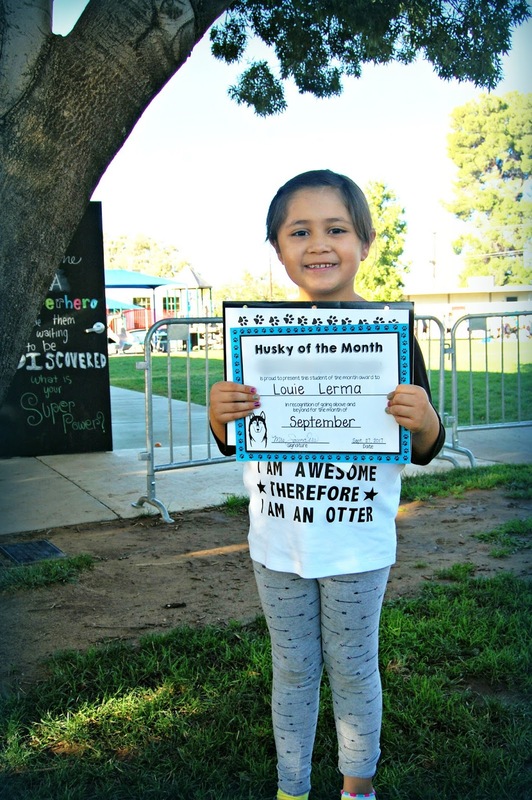 It let us know that our Little Louie was being named "Student of the Month" for September! Louie's teacher had such nice things to say about Mi Amor. She called her a hard worker with a can-do attitude who is helpful to her teacher and kind to her classmates. Joey, Phi and I all surprised Louie and went to the little ceremony. She was so excited. After we took some pictures we walked her back to her classroom. When she walked in all her classmates cheered and clapped for her. My Little Lady was overwhelmed and I could see her eyes fill with happy tears. She is just like her Momma like that.